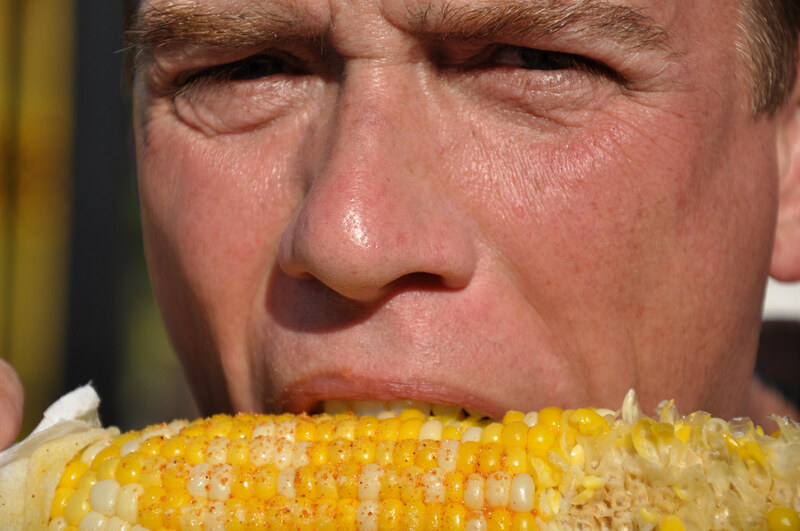 The look on this sweet corn lover's face is priceless. He looks a little like Clint Eastwood's Dirty Harry as he glares through his squinted eyes peering over a nicely seasoned ear of sweet corn. Is it a summer food i dint know that..